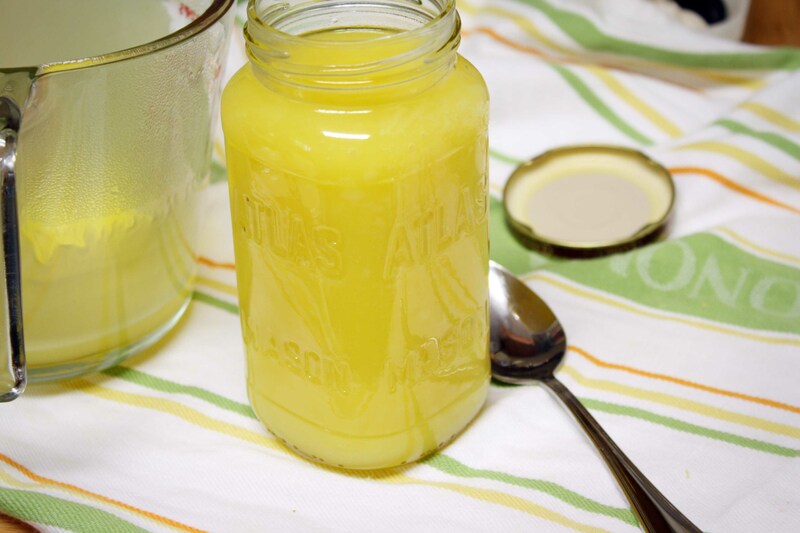 I know that long ago, I promised a recipe for lemon curd. Because I had made it to go with scones, and it was really, really, really good. But I got distracted by these and these. And then there were tornados in Raleigh, and I felt very, very grateful that neither I nor anyone I know was seriously hurt. One of my coworkers put together an art auction to help benefit those affected by the said tornado, and so I baked some goodies (like these brownies, this cake, and the aforementioned caramel rice crispy treats) to sell. With all that plus a million other things, this post…just didn’t get written. And even when I started writing it, it sat in my “Drafts” folder for two weeks. But enough excuses. 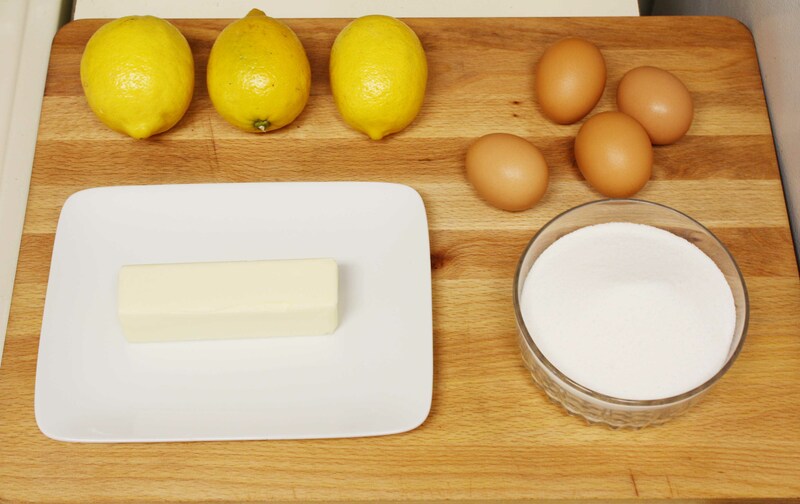 The ingredients for lemon curd are simple: lemons (duh), eggs, butter, sugar. First you zest and juice the three lemons (have I ever mentioned how much I love my zester? It’s amazing). 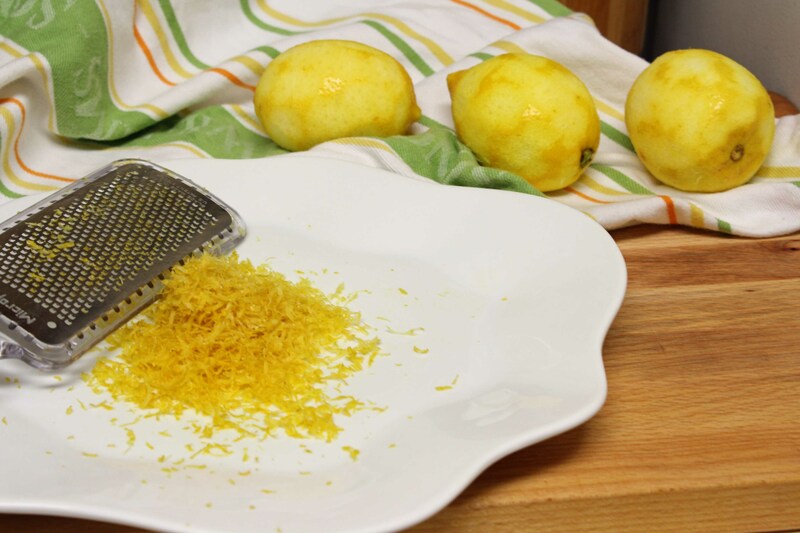 Add the sugar and lemon zest to a mixer with a paddle attachment, and mix on medium-low speed till the sugar and zest are mixed thoroughly. 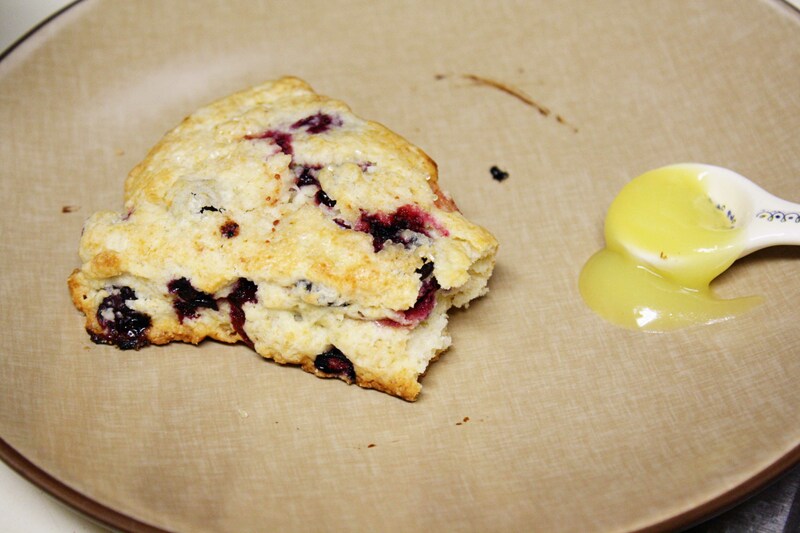 Add the softened butter, and cream till light. Add the eggs one at a time, beating well after each addition. Then add the lemon juice and salt, and mix till blended. This is where it gets funky. Pour the mixture into a saucepan over medium heat. It starts to kind of curdle as the butter starts to melt, and it’s a little bit weird looking (kind of matches the “curd” in the name). 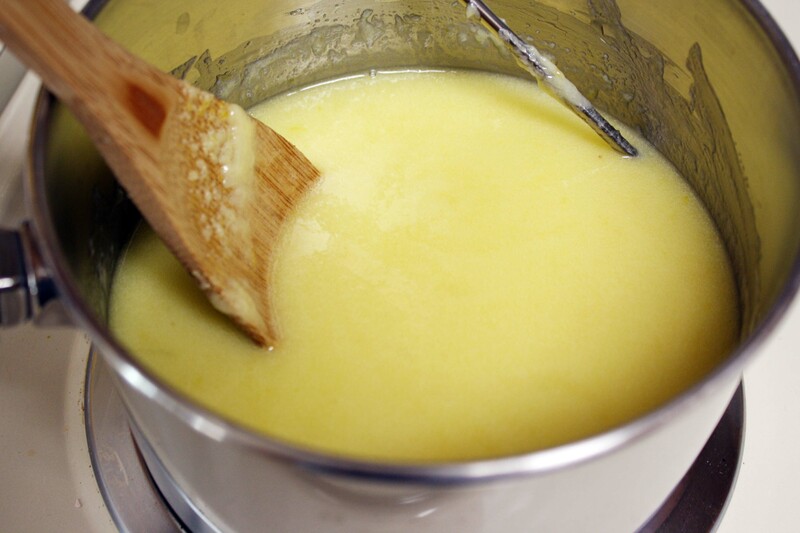 But eventually, as the curd heats up slowly, it smooths out and starts to thicken. I hooked up my instant read thermometer to the side of the pot with a clothespin (very fancy, I know) so I would know when the curd had reached the correct temperature (170 degrees). You can also tell it’s done when you can drag your finger across the back of the spoon and it doesn’t fill in. But as soon as it reaches the right temperature, you take it off the heat. Mine took a VERY long time to reach the right stage, and I think it’s because I had the heat on too low. The original recipe says low heat, but I would recommend medium heat, unless you want to wait an HOUR for your curd to thicken. Which you probably don’t want to do. Especially since you can’t just leave it for an hour…you have to pretty much stir it constantly. 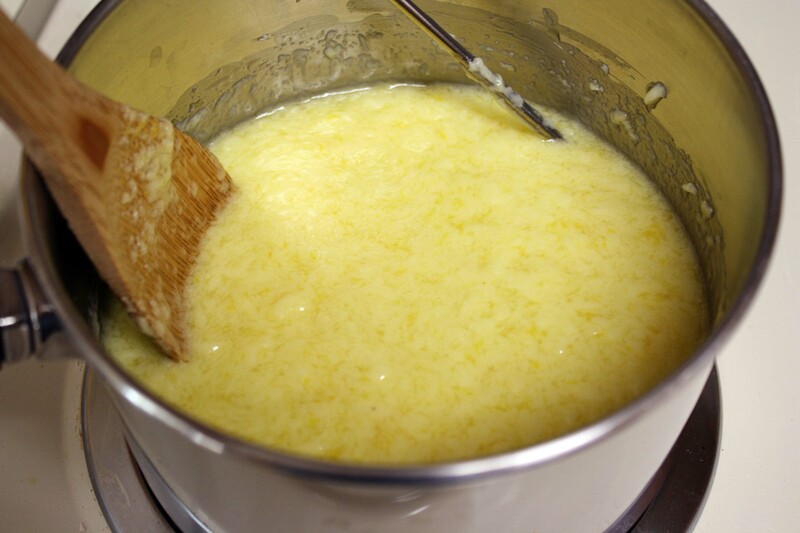 Whenever you’ve reached that magical thickened stage, be it after 20 minutes or 60, you pour the curd through a mesh strainer to get rid of the lemon zest and any eggs that curdled (although this method of creaming the sugar and eggs together first helps prevent curdling – I didn’t have any) and make it super smooth. I got about 2-1/3 cups of curd from this batch, which is a LOT of curd – a little bit goes a long way. So feel free to halve this recipe. It was also a tiny bit sweet for my taste – I’d like to try this with 1 cup of sugar, instead of the 1.5 called for. Zest and juice the three lemons. Add the zest and sugar to a mixer with a paddle attachment. Mix on medium-low speed until the zest and sugar are mixed thoroughly. Add butter to the sugar mixture and cream till light and fluffy. Add eggs one at a time, mixing after each addition. 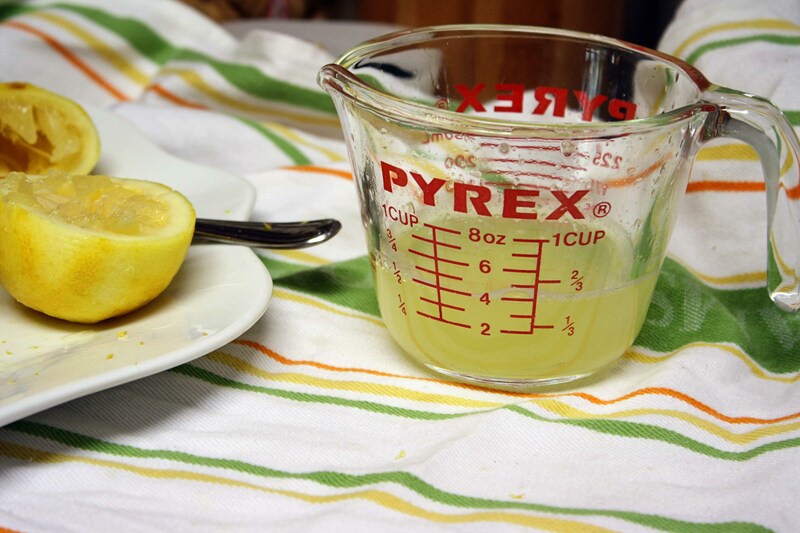 Add lemon juice and salt and mix until combined. 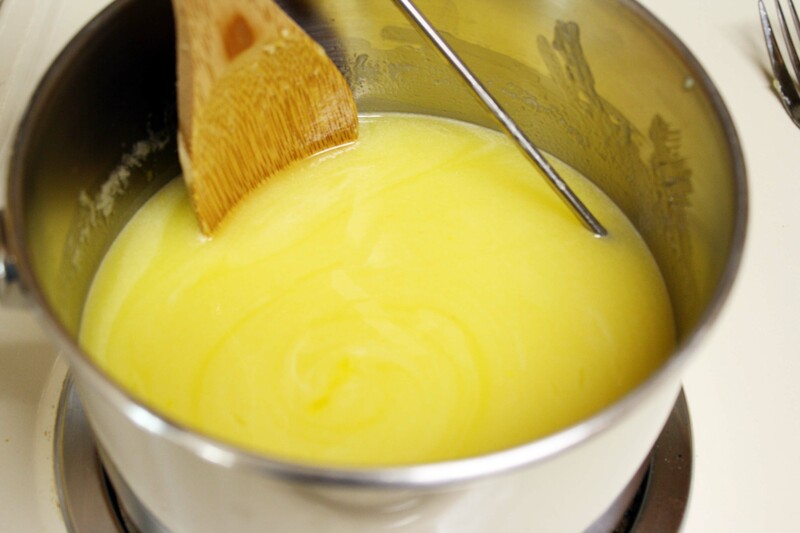 Pour mixture into a 2-quart saucepan over medium heat and cook till the mixture thickens and reaches a temperature of 170 degrees (right before a simmer). 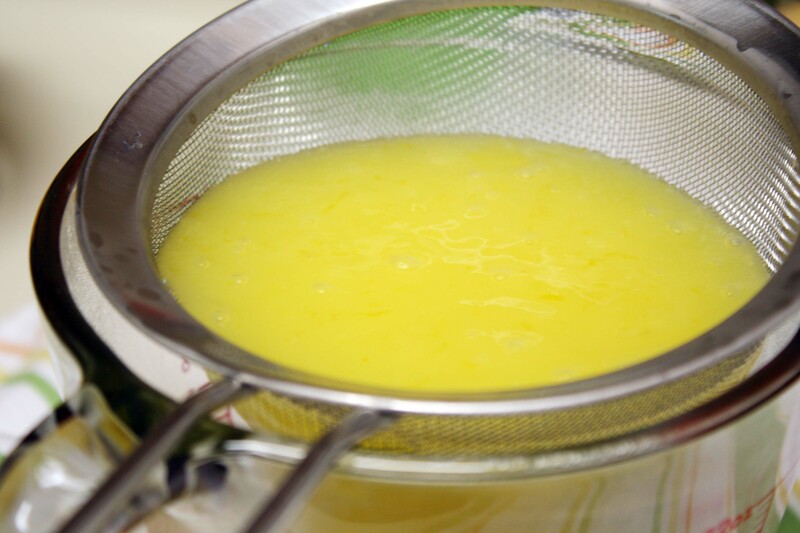 Pour through a fine mesh strainer to remove the zest any curdled eggs. Store in an airtight container for up to one week in the refrigerator.